Gift cards are valid at any of the two South Florida locations (Coral Gables, South Beach). 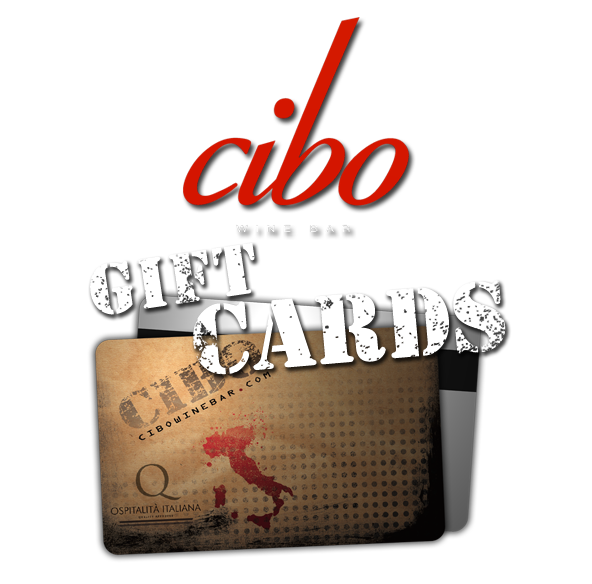 Cibo Wine Bar only offers gift cards for our restaurants in the US only at this time. Please note, our gift cards are country specific. For instance, our US cards cannot be used in Canada. We will only ship gift cards within the continental US, via the US Postal Service. Please allow at least 10 days for delivery. Gift cards purchased online cannot be picked up at Cibo Wine Bar. There are no refunds on gift cards, lost or stolen cards will not be replaced. Your privacy is important to us. Your email address and other personal information will never be shared with anyone outside of our organization.